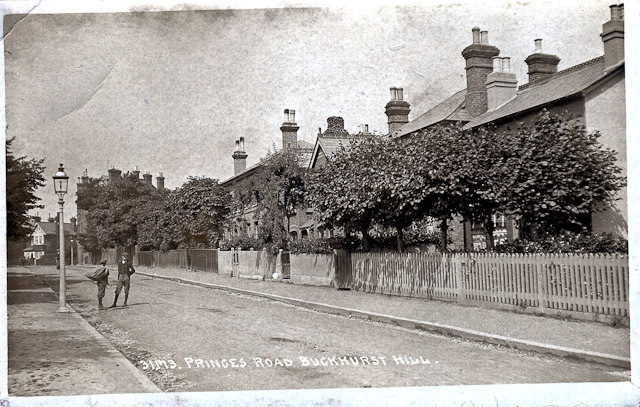 Buckhurst Hill. Queens Road from the Railway. The Wrench Series, No 4172. 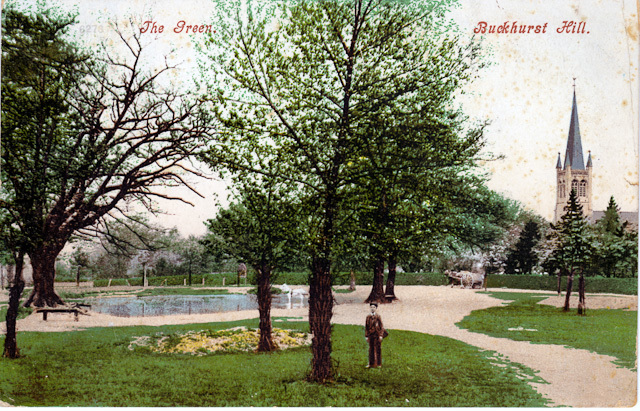 Postcard, post marked May 1904. Addressed to Master G Salter, Town Hospital St Peters Port, Guernsey, Channel Islands; from his sister Nellie. J Conoley, "The Peoples Draper and Outfitter" is on one corner and C Fuller and Son, Auction & Estate Offices are opposite. 6278 The Green. 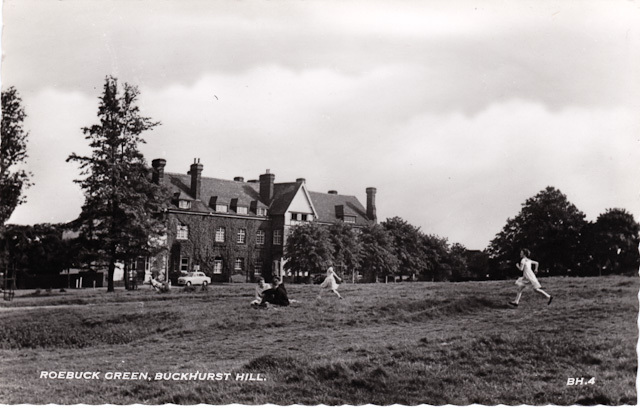 Buckhurst Hill. Postcard, post marked April 1907. Addressed to Miss Caer [? ], Mursley NE Winslow, Bucks [Buckinghamshire] from E. L.[?] 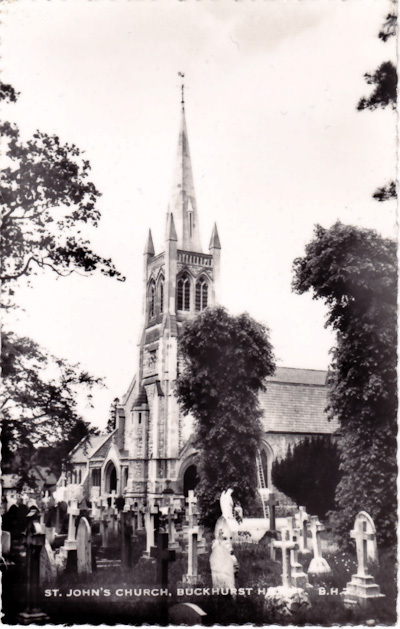 S.
The church in the background is the St. John the Baptist Church, Buckhurst Hill. Built in 1837 but the spire was added later. 'The Green' was also known as 'The Top Green'. Postcard, post marked April 1911. Addressed to Mrs [Mary] Dodd, 3 Cyril St, Walworth S.E. from her nephew Gordon Barlow. 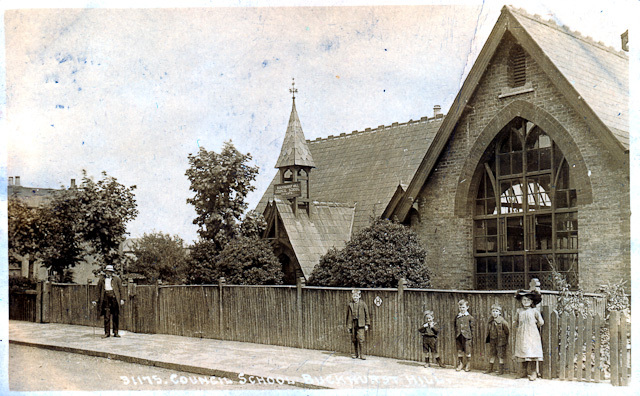 Sign on the bell tower reads "Buckhurst Hill Council School (Infants)". Thought to have been in Albert Road; it has been demolished. Postcard, dated 4 December 1918. 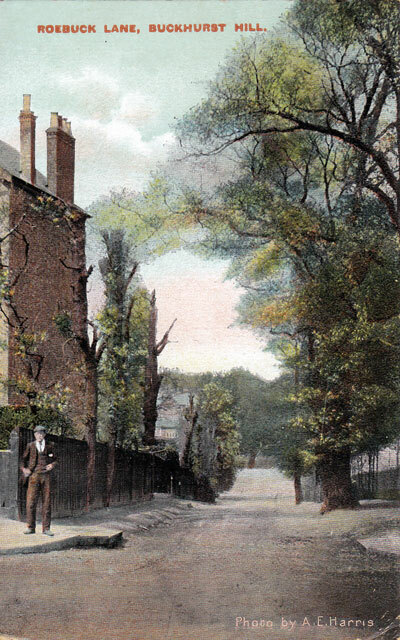 Addressed to Mrs Gardner, 27, Rundle Road, Sefton Park, Liverpool from Dorothy and George W Bishop of Ivy Cottage, Princes Road, Buckhurst Hill. 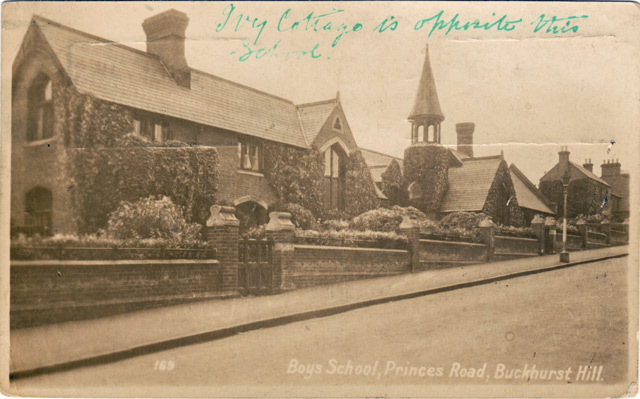 This school which was built in 1872 has been demolished and replaced by the Monarch Place housing development. Unused postcard. The Bell Series of Real Photos in Silver Print. Bell's Photo Co Ltd., Leigh-on-Sea, Essex. An unused and undated postcard (ca 1950), Cranley Commercial Calendars, Ltd., Ilford Essex. 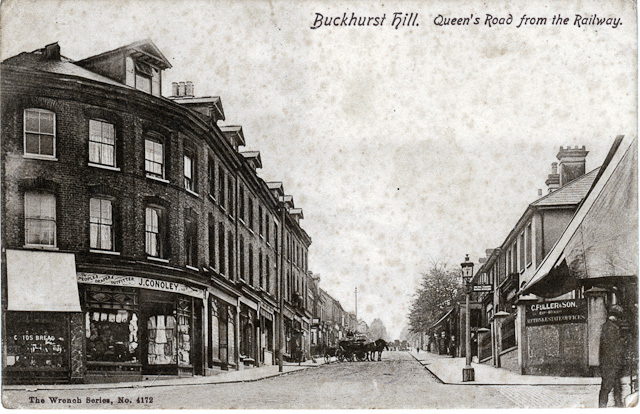 At one time the building in the background was called the 'Old Roebuck Hotel' and later as the 'Roebuck Corus Hotel'. It had views of Epping Forest. It was demolished and replaced with a block of apartments with a similar external appearance. 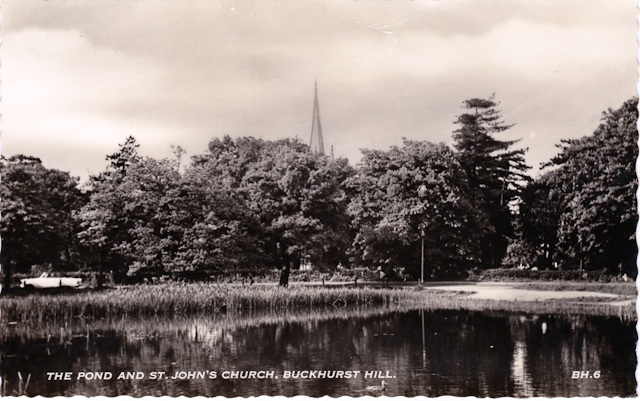 St. John the Baptist Church Buckhurst Hill with the graveyard in the foreground.